With the London Festival of Cabaret about to hit the capital in May, there’s still plenty of time to get acquainted with the Great American Songbook. 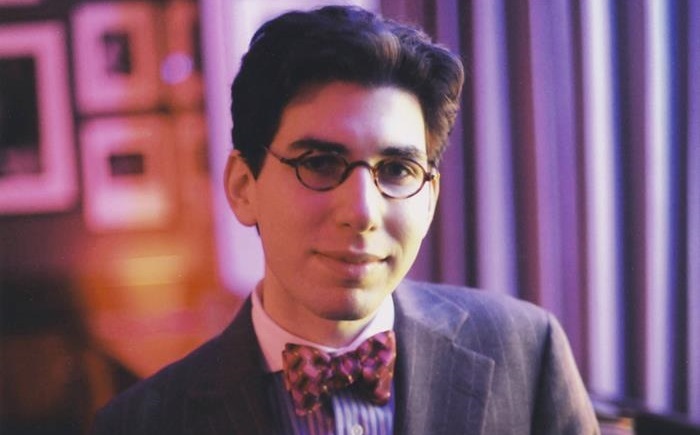 One place to start would be New York’s Aaron Weinstein who is playing this week at the Crazy Coqs. Aaron Weinstein will be playing at the Crazy Coqs until 15 March. Amongst the wry smiles and sleepy nods of freeform appreciation found within its onlookers, one whispered audience remark during the set of New York jazz musician Aaron Weinstein sums up the mood not only of the audience but also of the night as a whole. “He’s a lovely young man” sighs a nearby admirer, clearly in awe. Indeed, with his measured yet skilful display of talent – yet also keen self-awareness – it’s clear that Weinstein is very much the epitome of that rare paradox that Woody Allen, another moderately well-known Jewish entertainer, displayed all those years ago: non-threatening yet, crucially, underneath it all, supremely talented. There is certainly no denying Weinstein’s ability with a stringed instrument. Switching between the violin and the mandolin, he riffs on melodies ranging from frenzied riffs from the musical Gypsy to earlier and more melancholic songs such as After You’ve Gone, constantly bringing new strains and detail to classic tunes from American jazz history. In between, Weinstein, in his wonderfully self-deprecating way, mumbles monologues about his mother or, in one particularly amusing anecdote, reflects on his time spent teaching a man with a glass eye how to play the violin. It’s these sparse yet absurd vignettes that will draw comparisons between Weinstein and the aforementioned Allen the most, and yet it seems unfair and almost a cliché to compare the musician to the comedian simply because of their style of joke and cultural background, when to judge Weinstein on comedy alone misses the point entirely. In fact, more can be discovered about Weinstein from his music than his comedic presence, which whilst certainly welcome, merely acts as an amusing but never quite genuine pause inbetween his much more soulful jazz performances. A night of dark Jewish skits and some slight musical interludes this is not, but instead, as Weinstein says himself, his own personal take on The Great American Songbook, as we listen and reflect on classics such as Pennies From Heaven and Ain’t Misbehavin’ alongside pianist Dave Newton’s skilful accompaniment. At the end of the night Weinstein returns on stage to play an encore of Somewhere Over The Rainbow on the mandolin, once again imaginatively realised and dexterously finger picked. Even a pin drop (or an ice cube from a glass of whiskey given the venue’s luxurious art deco settings) would have been picked up as deafening as the audience sat enthralled by the final acoustic number. A pleasingly intimate way to end the night, and a telling example of where Weinstein’s power in performance truly lies, namely amongst his experimental yet somehow always still nostalgic music. Aaron Weinstein continues at the Crazy Coqs until 15 March. More information can be found on the venue’s website.